Maybe it's just me, but I've always felt forum goodbyes are a bad idea for this very reason. When you have announced an official goodbye, it makes you feel guilty when you want to check back in later and maybe say hi. Life moves on, but sometimes it's fun to look back on where you came from. @DCW being quiet. That's pretty much expected. We lost the regular weekly translators for the series which keeps fans interested and coming back. There was a massive falloff in post volume because of that, here and at DCTP. Should a translator team return to regular release schedule, then more people will come out of the woodwork. Also the activity of the forums follows the plot pace. The plot has been quiet, and the novelty of Rum, Shuukichi, and the mystery child have worn off. (Until further changes) Lastly and perhaps most importantly, the spike in Detective Conan's popularity has worn off. Back around 2009-2011 was peak posting volume here and at DCTP. It's declined steadily since in both places to 10% of what it once was. That's because in 2009-2011, all the people who saw the English dub Case Closed on Cartoon Network in 2003 as kids and middle schoolers became highschoolers and college students which are the most active crowd as far forum posting goes. Now most of the people who watched Case Closed are adults and adult life tends to take you away from hobbies and internet pursuits. The people who remain are those who like the mystery genre and anime in general and found it through Viz Volumes, fansubs, and scanlations rather than English dubs. Many are international, because their local dubs are still airing. The chatroom gets quiet long before the general and manga subforums do because discussion there can take place at a slower place. The post quality is still very high. People are still discussing case solutions. The wiki edit rate has remained pretty steady, even though most of the major articles are nearing "completion". The site is nowhere near dying, and neither is the series. There is a lot to look forward to. I am sorry to see some of you leave. Detective Conan is a slow and steady series, and the fanbase is going match it. Yeah... Whatever... Its Christmas... I made these last Christmas, before getting grounded by parents... So here are some of em.. 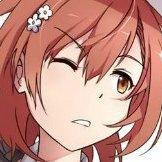 There were more [for KKlt, KtPT, Ren, Kirsch and Hikari] but i cant find them after a day's long effort, so sorry about that :/... Merry Christmas to everyone For Eden nii For Misaki san..! For MK..! For Moho.. For Pliioi san..! For Raki..! For Sodium.. For Zubichan..! How many episodes have ran crying? But not too deep: She's cried in File 1 (Case Aftermath), File 9 (Shinichi), File 16 (Case Aftermath), File 48 (Shinichi), File 71 (Shinichi), File 95 (Shinichi), File 143 (Case Aftermath), File 260 (Shinichi), File 334 (Shinichi), File 353/File 354 (Flashback – Case Aftermath), File 379/File 380 (Shinichi), File 428 (Shinichi), File 482 (Shinichi/Case Aftermath), File 650/File 651 (Shinichi), File 727 (Shinichi), File 745/File 752 (Shinichi), File 884 (Flashback – Shinichi) File 921/File 922/File 923/File 924 (Flashback – Frustration/Case Aftermath/Shinichi) and File 931/933 (Zombie Movie and Zombie encounter). Thats a total of 20 times—in a total 27 Files—12 times exclusively due to Shinichi, 4 times exclusively due to the aftermath of a case, 1 time due to Shinichi and the aftermath of a case, and 1 time when the aftermath of a case, Shinichi, and simple frustration all happened across 4 files... and then there were two instances due to zombie movie and a "zombie" encounter. I don't think I missed any, but I could be wrong about that. She cried in 6 of the 130 Files before her second suspicion arc began, cried only once during her second suspicion arc, cried 5 times between her second and third suspicion arcs, cried during her third, just one case-long, suspicion arc, and has cried 7 times since the last suspicion arc. In all, she's cried in 19 of the 273 cases, and 27 of the 945 Files. So I purchased all available volumes that were translated of the manga and am just about to run out of volumes as they only release one every few months. Initially I was a little annoyed with the name changes and the "Americanisation" of the manga but after a while it really grew on me. Firstly you have Aoyama Gosho's notes at the end of each chapter which is really a look back into the past... I just remember little things like him talking about his proud purchase of a Windows 95 pc rating it over a Mac , and his worries about the localisation of the anime when it was originally being released in English. They put in little clues, just specific words in bold that give you an idea as to how the case will unfold. You also just have way higher quality scans and consistency in translations... the earlier versions were pretty bad quality really. Yeah that's all, I'm not trying to demean the scanlation groups nor anyone that reads them, I just wanted to make people aware that the official translations have something to offer. I'm not saying not to read the scanlations, but if you have recently picked up the series and can't put up with the chopping visual and grammatical quality of the earlier chapters and have some money to spare I would recommend buying the volumes. Who is best for Conan/Shinichi??? Can she? During cases, she usually doesn't. She even admits in one of the cases that deduction is not her thing and that this way of thinking does not suit her. She helped the kids figure Kobayashi's riddle with the help of Conan's hint and she partly figured out that one case when she made the childish mischievious smile. On the other hand, Ran solved an entire case on her own, without any deduction help from Shinichi. That's not her standard, but it is possible for her. Both are not on his level, but both can keep up. So can Ran, and so does Ran. She does it since they met each other, she admitted that much to Ran and Sera during the pre-school flashback. Ran is more independent than any other teenager in the show. She solely runs a three person household. But you probably meant "emotionally independent". Both Sera and Haibara commend her emotional strength in the series. She hasn't cried because Shinichi is gone for a long, long time now. Last time was File 379. She doing pretty well considering that Shinichi vanished and no person knows where he is. Again, you can't compare "completely disappearing all of a sudden" with "doesn't check in everyday". Imagine if Shinichi and Shiho walked home from school together and Shinichi says that he has something to do and runs off. And then he's gone for a few days before he calls, yet still he won't reappear and no one knows where he is (aka the situation from the beginning of the series.). You think Shiho would just say "Cool, whatever?". No way, of course she would be worried, just like Ran, just like every reasonable person would. Shinichi went off to solve cases without Ran in the past and never did we get any indication that she worried as much as she did in the beginning of the series. No, he wouldn't. It wouldn't make any sense for him to still run after them. If he retains his knowledge, he would act completely differently, to get a better outcome for him. The more logical thing for him to do would be to tell Megure and the other policeman who are still nearby what's going down, which would have more benefits for both him and the fight against the BO. Shinichi is mostly about logic and still following them wouldn't be logical at all. Whoa whoa whoa whoa whoa, gonna have to stop you there. To preface, I don't really know you. I don't know if you've been lying about your age, or any of the things you said, or etc but regardless of whether or not your words hold any water, I can't not throw my two cents in on this. Assuming you aren't lying, don't do that. Speaking from firsthand experience it doesn't help, and the guilt and paranoia that accompany doing so aren't worth it. You also risk getting an unnecessary infection. Even if they're not visible, living with the scars isn't exactly fun either. Just don't do it. There's healthier coping methods out there like talking to someone, exercising, napping, writing things down, spontaneous showers, holding ice cubes, drawing on yourself, and etc etc. Assuming you're joking or not being serious or whatever, don't do that either. You don't know who will hear you. Though the term's been bastardized by tumblr, you could actually trigger someone by bringing such a thing up. You also might be heard by someone like myself or by someone who, rightfully so, takes things said like that seriously. Or if you meant that in the third way that just occurred to me, ignore what I just said and be more careful when holding sharp objects.